Everything you’ve been doing could be wrong! The world of job search and career management has evolved radically in the past ten years. This collection of substantive yet entertaining essays challenges assumptions and shakes the trees of “conventional wisdom”. Consider how career management and job search are like sailing. Successful careers are about strategy, competition, and determination. Careers rarely move in a straight line and are unpredictable. Yet, the exhilaration of the race can be satisfying and rewarding. This book will help you sail on with gusto, and navigate the ups and downs that come with the journey! Be Smart provides straightforward advice that is simple, intuitive, and easy to apply from authors who have helped hundreds of clients unravel all sorts of “messes” that have resulted from bad advice, much from seemingly expert sources. They know how hiring is done, what can get someone in trouble, and what really works. 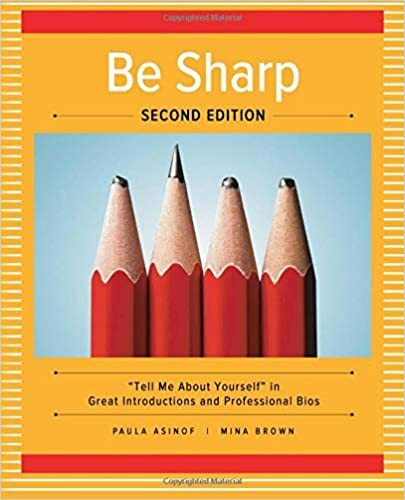 Whether you are an executive, skilled professional, or recent college graduate Be Smart will guide you through the challenges of a wide range of career and job search issues.